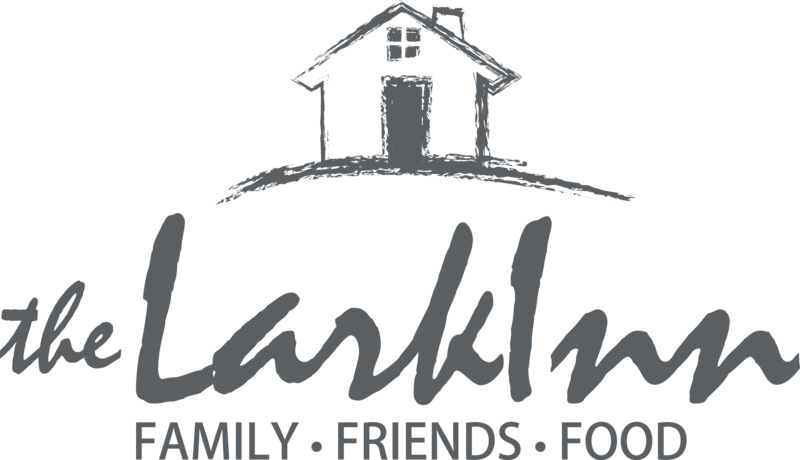 This is a great recipe we have prepared at a couple of our cooking classes at The Lark Inn. The first time was when we had guest chef Gary Martin join us for our September class: “When the Flint Hills Meet the Tuscan Hills”. This was actually a recipe Gary brought with him specifically for that class. The only other time we have fixed it was just this past Saturday night. We had a group of folks who had attended one of our general classes and decided it would be a lot of fun to do a private cooking class/party. I have to tell you it was fun. 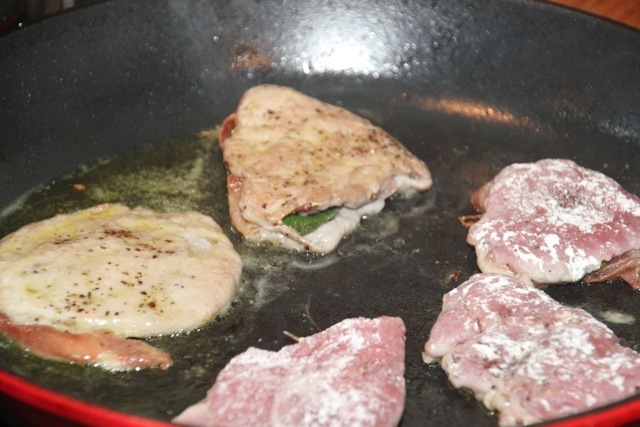 I pulled together several menu options and they picked their menu so I got to prepare Saltimbocca for my first time with that group. What can I say . . . Chef Gary was such a good teacher . . . 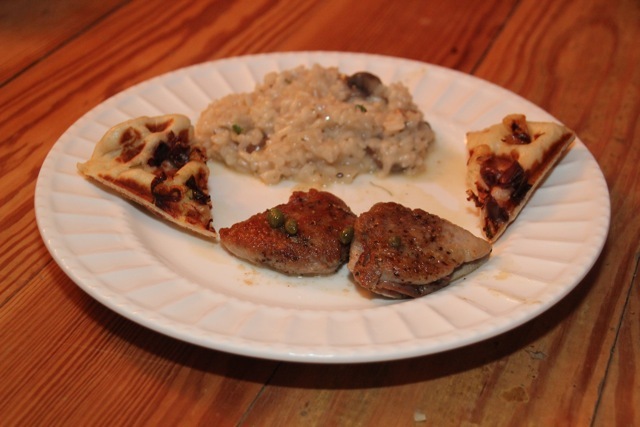 The recipe calls for veal or pork tenderloin and I chose to use the pork and it worked out famously. I do want to try it with the veal . . . I’m sure it will be very good also. 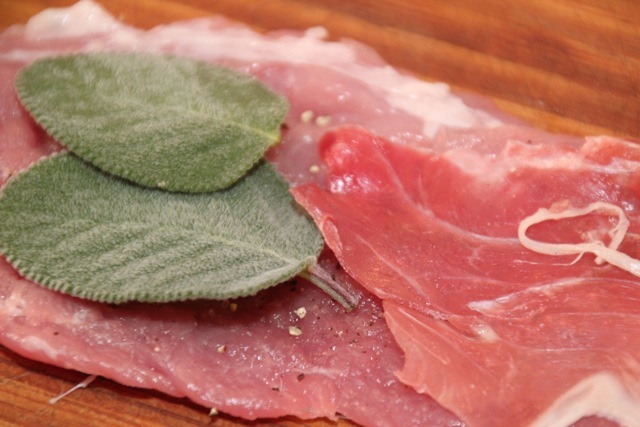 As you will see, this is a very savory recipe with the prosciutto and sage leaves . . . it begs to be accompanied by a nice glass of wine! PLACE VEAL SCALLOPS ON PLASTIC WRAP AND FOLD OVER. POUND SCALLOPS UNTIL FLAT AND VERY THIN. SEASON SCALLOPS WITH SALT AND PEPPER, LAY A PIECE OF PROSCIUTTO AND TWO SAGE LEAVES ON SCALLOP, FOLD OVER. REPEAT UNTIL ALL SCALLOPS ARE PREPARED. DUST LIGHTLY WITH FLOUR. MEANWHILE REDUCE STOCK OVER MEDIUM HEAT, KEEP WARM. HEAT HEAVY SKILLET OVER MEDIUM HIGH HEAT, ADD OIL. SEAR VEAL SCALLOPS ABOUT TWO MINUTES, TURN AND COOK ABOUT TWO MORE MINUTES. REMOVE FROM PAN, TENT TO KEEP WARM. ADD CAPERS TO HOT PAN, ADD WINE STIRRING TO LOOSEN BITS IN PAN AND SIMMER UNTIL MOST OF LIQUID IS EVAPORATED. STIR IN STOCK AND CONTINUE COOKING UNTIL SMOOTH. WHISK CHILLED BUTTER 1 TABLESPPON AT A TIME UNTIL SAUCE IS SMOOTH AND CREAMY. NOTE: SERVE WITH GARLIC MASHED POTATOES OR PASTA WITH RED SAUCE.